Our 3x4 inch peel & stick NanoSeptic self-cleaning handle wraps are perfect for those small diameter tubular handles which are less than 1" diameter...especially restroom or locker room doors. 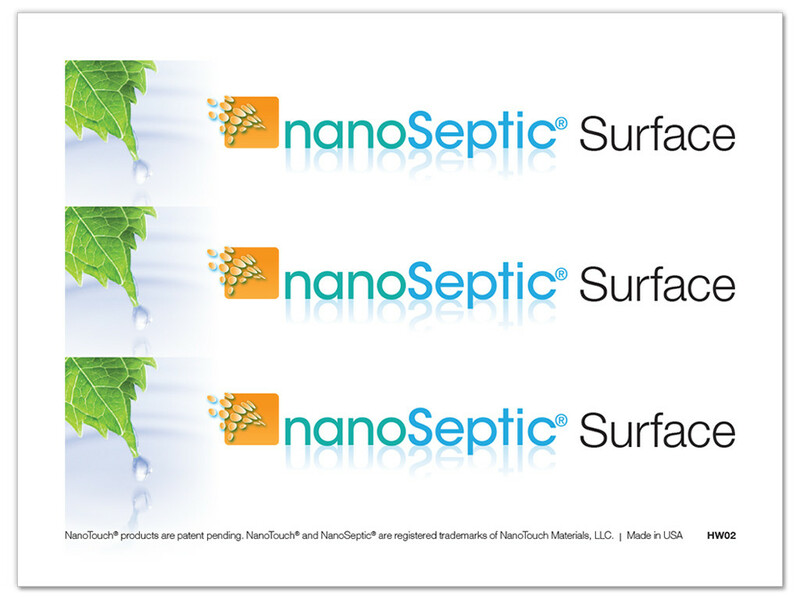 The NanoSeptic surface provides a cleaner place to touch and can be washed or wiped off with a microfiber cloth and water. The surface will last approximately 90 days depending on traffic. When it's tiime to replace, just peel off, clean any adhesive residue, and stick on a new one.